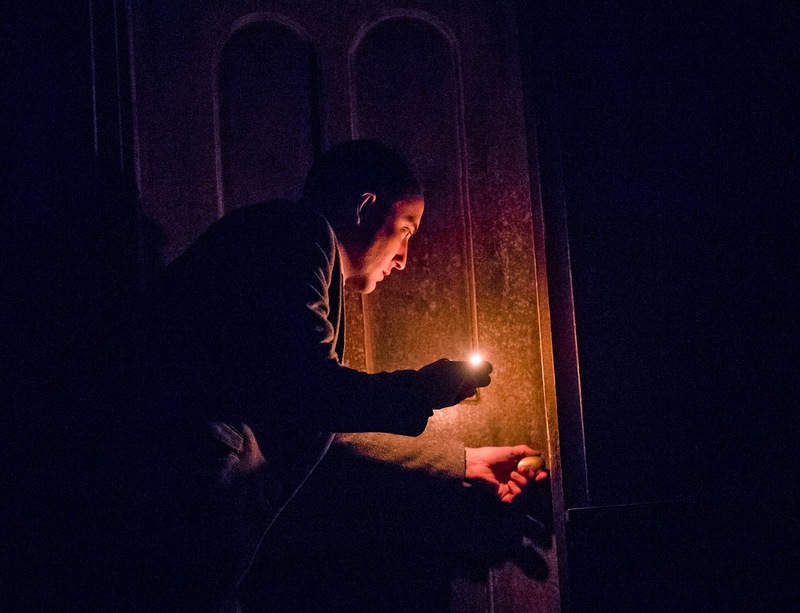 The Woman in Black | Curve Theatre, Leicester. Hailed by The Daily Telegraph as "One of the most brilliantly effective spine-chillers you will ever encounter" Susan Hill's haunting tale, The Woman in Black is embarking on a UK Tour. Director Robin Herford transforms the stage into an intimate space that captures the eerie and un-knowing atmosphere that leaves you on the edge of your seat. 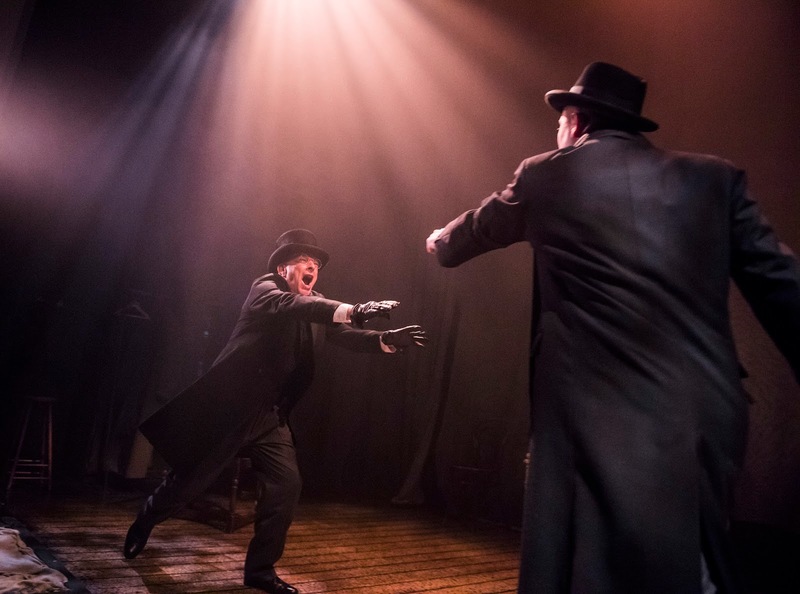 The cast consisted of 2 men, David Acton as Arthur Kipps and Mathew Spencer as The Actor who commands the audience to use our imaginations to direct us through the telling of their ghost story. Hereford's reasoning for such a small cast was based on a budget when he first directed the play, However, this works well within the context and ever-changing flip between two men acting out the play and the initial story in which The Woman in Black stems from. Having the believable acting helped us in moving to the misty moors where it all unfolds before our very eyes. The initial tale is of Arthur Kipps and the woman who was distraught by the loss of her infant son became widely acknowledged thanks to the 2012 film adaption, what the stage production manages to capture is the haunting experience with the help of an audience's imagination that the film lacked to create. 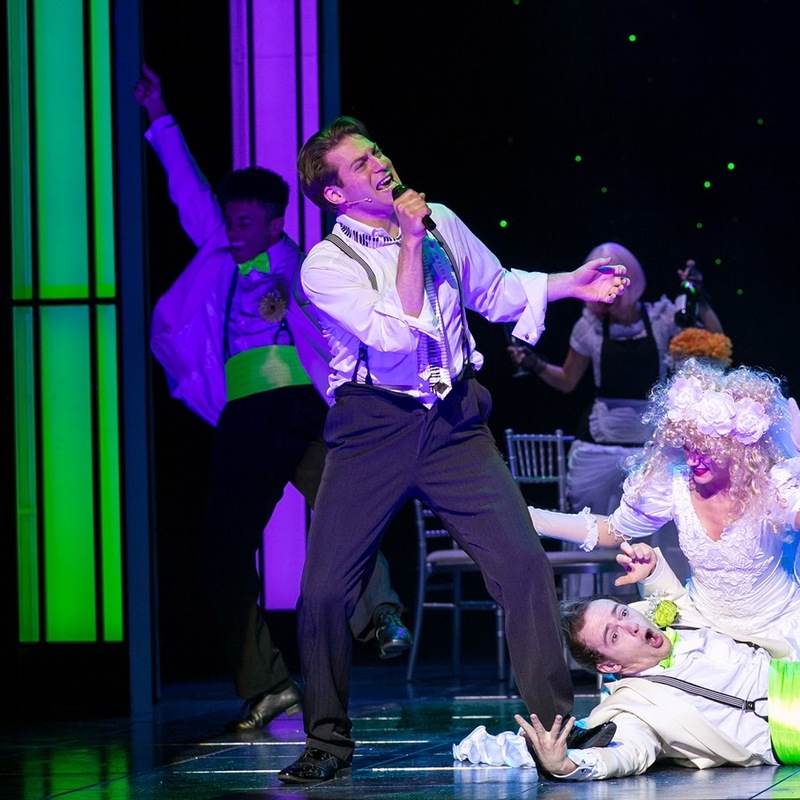 The production doesn't rely heavily on having an extravagant set, actually, the less is more approach really emphasises on the whole experience. 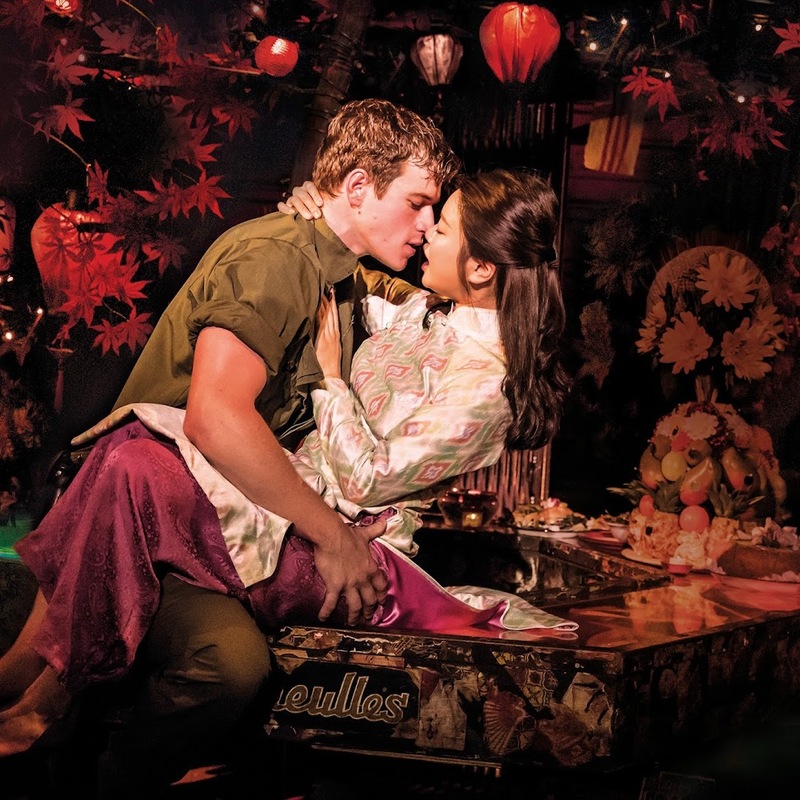 From its minimal props including a basket that becomes a desk to a horse cat to the intimate staging. There was even a delivery in moments of comic relief, helping the audiences laugh off their nervous energy as they await the presence of the woman in black. Despite its audiences screams and jumps, it's clear why The Woman in Black has grown in popularity across the UK over the years. It captured the idea that theatre is so much more than the big sets and bigger cast numbers but in fact the script and context itself. It was a really enjoyable night at the theatre and a production I would definitely see again! The Woman in Black is performing around the UK until June 2017. This sounds like an amazing production! I'm a firm believer that sometimes less is absolutely more - especially when trying to play on people's emotions. The less there is, the less distraction there is and the more people can get sucked into a story and use their imaginations. So glad you enjoyed the show!